IMPORTANT INFORMATION MOVING LOCALLY IN MELBOURNE CBD? 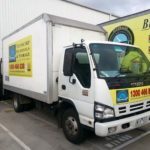 Relates to - Sellers - Buyers - Tenants - Landlords - Home - Office - Residential - Corporate Melbourne Local CBD Movers Furniture Removalists - With Christmas around the corner and new owners or tenants moving out to settle into a new home ..
[caption id="attachment_2494" align="aligncenter" width="874"] Interstate Truck & Trailer Container - Melbourne to/from Perth Moving[/caption] Article - Blog: Interstate Moving Melbourne to or from Perth? 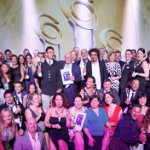 Transcorp Weekly Service Areas - All Perth CBD and all other WA towns including Kunu..
2015 National Champion Small Business Entrepreneur John Christoforidis 2015 Champion Entrepreneur John Christoforidis - 2015 Champion Business Entrepreneur Wishing to first and fore most thank all my staff and contractors for this amazing journey. 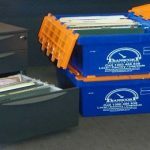 Special thanks also to Steve Loe of Precedent ..
Self Storage & Removalists Self Storage Facility & Removalists - Must Read Information Moving House with a furniture removalist & need to store goods? 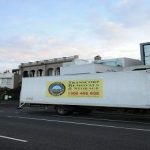 Self Storage Facility- Potential problems may occur depending if the removalists has or hasn't got storage facilities themselves.Thi..
2 Man + Truck vs 3 Man + Truck 2 Man + Truck or 3 Man + Truck is the question? How Many Removal Men? This question is raised when there seems to be a significant move or one particular item is very heavy. 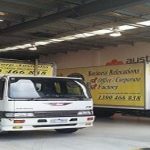 I will keep it simple and explain when it is best to use 2 Removal Men + Truck & whe..
Why Choose an AFRA Accredited Removalist? 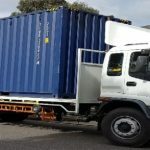 Whether you’re looking for removalists in Melbourne for a local move or you’re relocating interstate, it’s important to select a trustworthy removalist company. 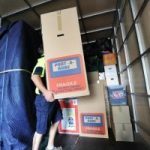 The best way to ensure this is by choosing a company that’s accredited by a removals as..
Removalists Quotes Removalists Quotes - Interstate Removalists Quotes - Interstate Melbourne, Sydney, Perth, Brisbane, Canberra, Adelaide, Darwin, Cairns - 7 Days. 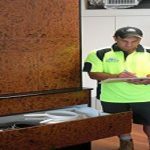 Transcorp Removals & Storage - 1300 466 838 (Toll Free) or Get a Quick Quote Interstate Quotes - Please never only base your..
Removalists Quotes Melbourne Removalists Quotes - Extra charges to watch out for! 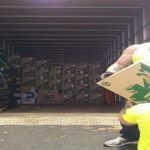 Removalists Quotes - Melbourne Local Quotes - Melbourne Movers Ideas and Tips to watch out for when moving locally in Melbourne * Depot to Depot - Are paying the Melbourne removal company to drive to your hous..
Interstate Removalists Moving Interstate? Tips and Ideas to Prepare Interstate Removal Tips to prepare for your move. Transcorp Removals & Storage - 1300 466 838 (Toll Free) or Get a Quick Quote Besides death and divorce, moving your furniture interstate is rated as the third most ..
Melbourne Office Moving - Tips to Manage Moving Office - Time Line Melbourne Moving - Managing Your Companies Office Relocation Start with an Office Moving Checklist When you have to move your office there are two main elements to remember. Plan your requirements in advance and call i..